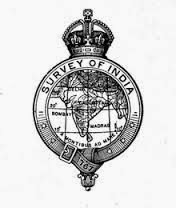 Applications For the Post of Topo Trainee Type ‘A’ in Survey of India 118 posts of at the GDC’s/Directorate/Offices mentioned below. Applications completed in all respects alongwith attested copies of certificates, mark sheets and testimonials duly signed and filled in the format given below should reach the Director of the concerned Geo-Spatial Data Centre/ Directorate/Offices on or before 21-02-2015. Required Qualification : Candidates should be passed Graduate (B.Sc.) with Mathematics from a recognized University. The candidates must have good stereoscopic vision for elegibility. The candidates possessing less than 45% for General Category and 40% for SC/ST/OBC in B.Sc. examination no need apply. Selection Procedure : Written Examination and Stereoscopic Fusion Test and Personal Interview. Written Tests in Mathematics, English, General Knowledge with Science to be held at various Survey of India Centres under overall supervision of requisitioning authority. How to apply : All Completed Applications in all respects along with attested copies of certificates,mark sheets and testimonials duly signed and filled in the prescribed format given should reach “The Director of the concerned Geo-Spatial Data Centre/ Directorate/Offices” on or before 21/02/2015. The candidates must attach two self addressed 10 X 6 cm. envelopes duly affixed worth Rs. 5/- postal stamps on each envelope along with their application .